Being mobile friendly became more important last month after Google began giving webpages a boost in the search results for sites that were mobile friendly when someone is searching from a mobile device. If you haven’t quite undertaken a redesign for an older WordPress theme, but are looking for a “stop-gap” solution to make your site mobile friendly until you make a theme change, there are fortunately solutions available. As always, it is important to remember to update these plugins as new updates become available, even if you are running an older theme. We have included plugins that are either free or free with a paid upgrade version available. WP-Touch is probably the most popular of all the mobile friendly solutions for WordPress. It is designed to load quickly and offers visitors a link to go to the desktop version of the page. They also offer quite a bit of color scheme options, so you can match the mobile site to what your desktop site looks like, to keep continuity in the look and feel for your regular visitors. You can also add social share buttons to the mobile theme as well. There is a free version, but there is a paid version offers more options with a starting price of $69 for a single site. Do note if you have an older version of this plugin enabled, you will want to ensure you are running the latest version, as an exploit was discovered in older versions. Jetpack is another popular solution, but it includes much more than simply a mobile friendly functionality (such as related posts, content tools, carousels and galleries) , so be aware that with all the bells and whistles included that it could take some time to set up, as well as a learning curve if you are new to WordPress. It includes a mobile theme for both smartphones and tablets. 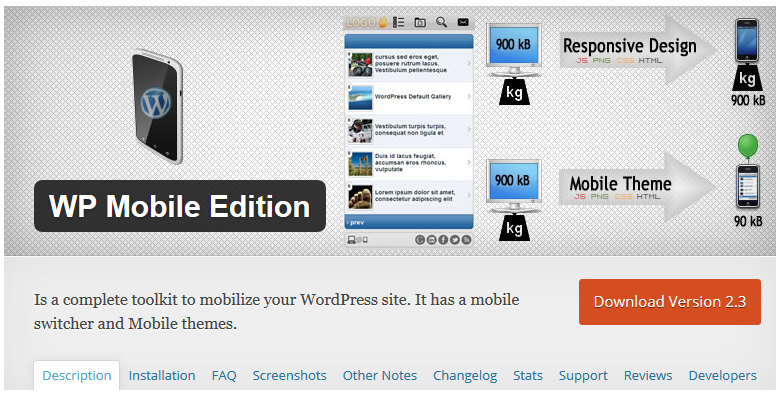 WP Mobile Edition is one of the newer mobile friendly WordPress plugins. It will detect if the user is coming from desktop or a mobile device – if they are mobile, it will activate this mobile friendly version of the site. It also includes the all-important link to allow a mobile user to switch to the desktop version if they’d like. The WP Mobile Detector is another free option which has an added perk – the ability to offer customization based on the type of mobile device, if that appeals to you. 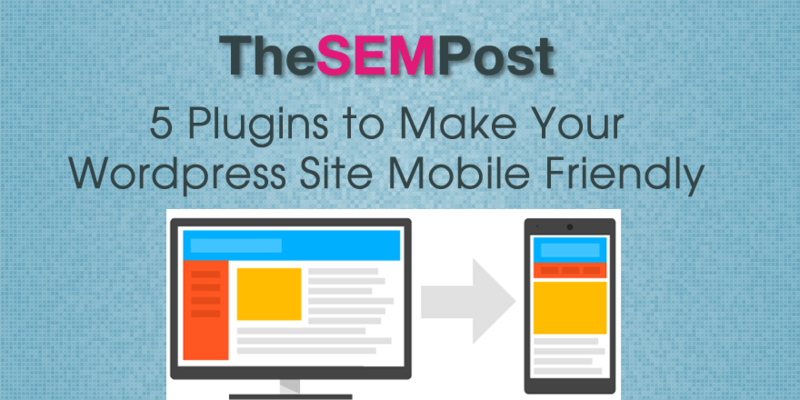 As with many mobile plugins, they also offer a paid version which adds more options, including greater customization of the theme appearance. 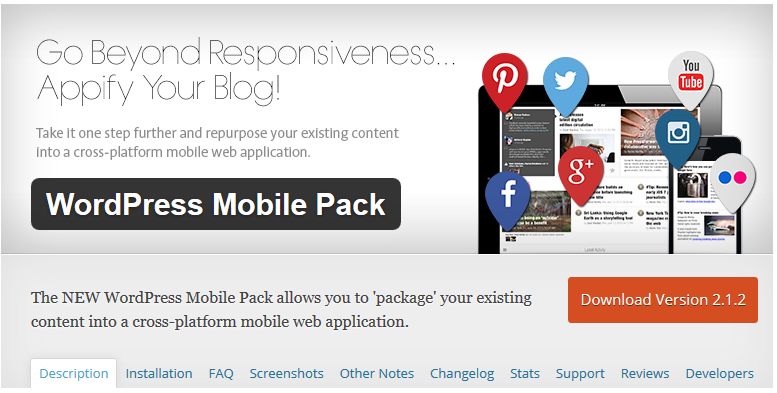 This WordPress Mobile Pack plugin is a bit unusual as it bills itself as an app-like mobile experience. Offers customization, including the ability to upload your own logo. Also allows you to decide which content to highlight for mobile users. It is a free plugin. After you enable one of the mobile friendly options, make sure you run your site through Google’s checker to ensure they are registering it as mobile friendly. The free tool from Google is here. And after you make the switch, it can still take Google some time to recrawl all the pages to give it the “mobile-friendly” tag – and get the mobile boost in the search results. There are 3 ways you can force Googlebot to reindex for the mobile friendly tags, which you might want to do if Google seems to be crawling the new mobile-friendly pages slowly.